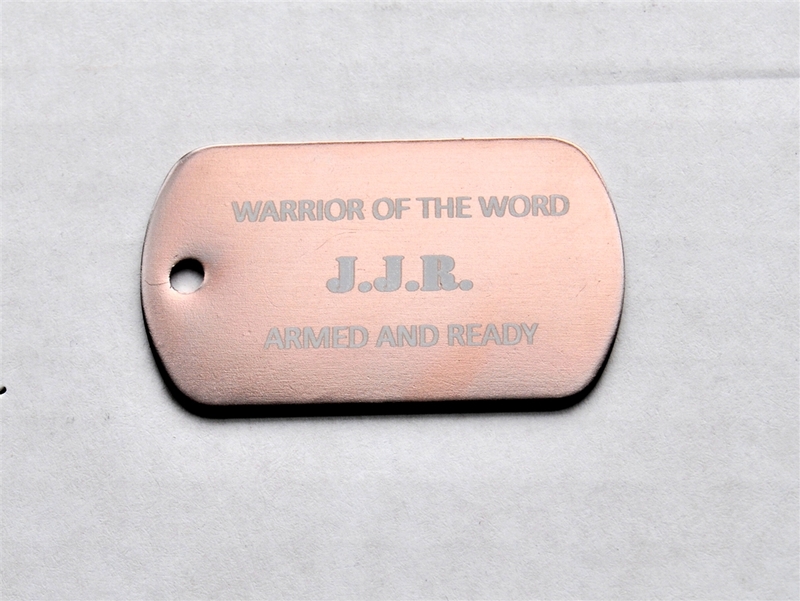 JJR is short for the Bible Study of Joshua, Judges, and Ruth. Each tag represents one of the six books of the Bible studied through WordAction’s Children’s Bible Quizzing and coordinates with Hide & Keep’s Bible Memory CDs. 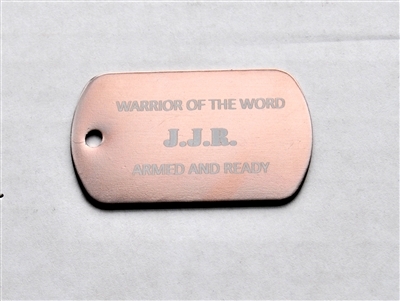 Dog tags are $3.25 each and include a FREE 24" nickel-plated steel ball chain.